its description clearly says 5/2. still collect button is disabled. I activated nocturna and claudia. it\'s not 5/2 yet. ; That is when the collect starts, and goes for the next 5 days. 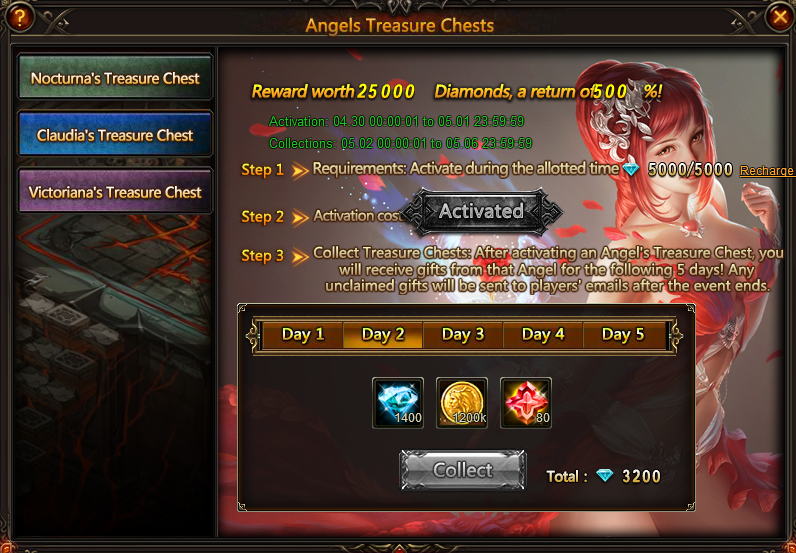 Dear Player, if you´re from EST server then its not yet 2nd of May, if you´re from HKT then please make ss of the server time clock and the Chest. Hi, I need screen shot of the issue so I can report it. 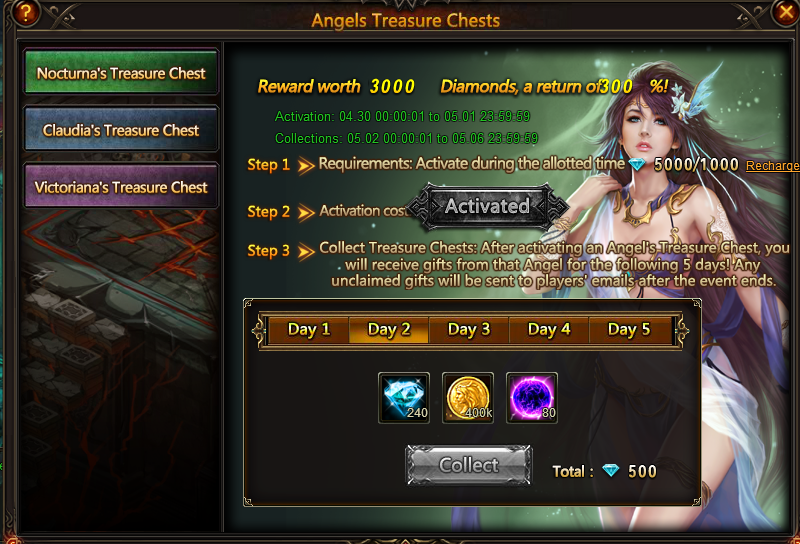 but, I collected the first day reward already when I activated it. 2019-4-27 00:21 GMT+8 , Processed in 0.060009 second(s), 48 queries .